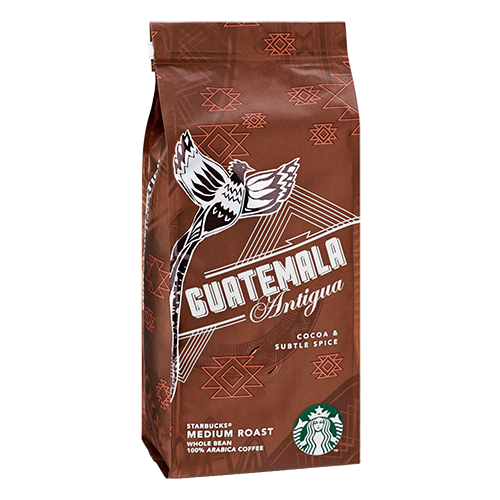 Starbucks Coffee Guatemala Antigua coffee beans have a refined acidity, subtle chocolaty texture and mild spicy flavors, it makes this coffee an elegant treasure. Antigua is a verdant area in the south central part of Guatemala, which is nestled among three volcanoes. Its coffee plantations are tended by farmers with vast knowledge and passion for coffee.